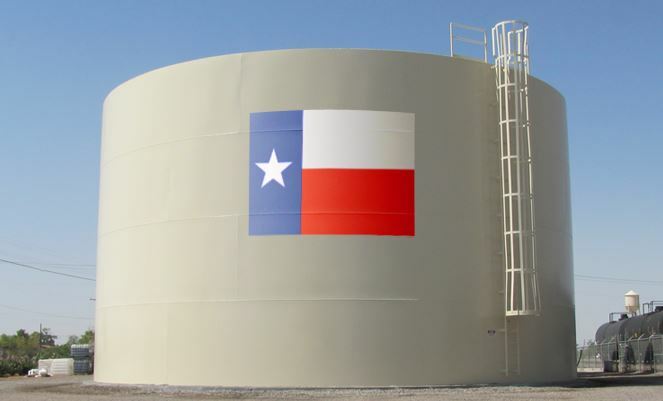 Welded Tanks Now Available in Texas - Superior Tank Co., Inc.
Superior Tank is proud to introduce our welded ground storage tanks for oil and water storage in Texas. For over 30 years Superior Tank has been fabricating and installing welded tanks in California and we now offer this design choice for customers in Texas, Oklahoma and Louisiana. Specifically designed for storage of potable water, wastewater, water for fire protection, produced water and crude oil, our welded tanks range in size from 50,000 to 2,500,000 gallons (1200 to 59,500 bbls). 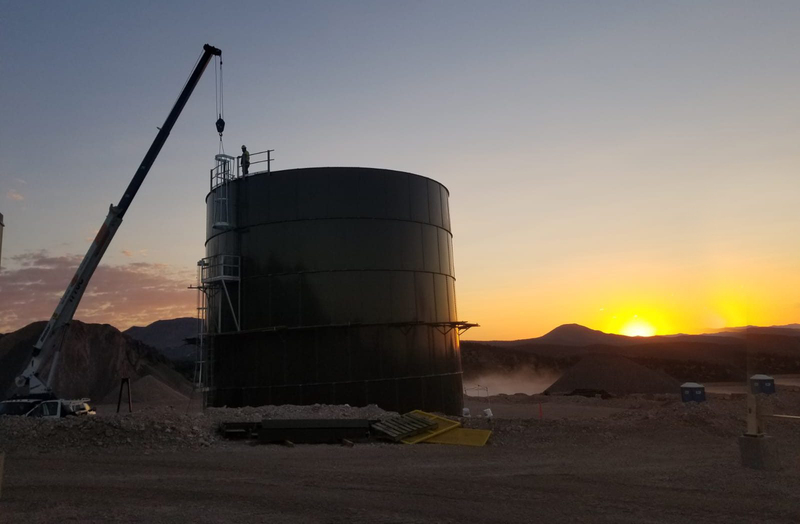 Our decades of experience in the oil and water industries provides us the knowledge to design and fabricate welded steel tanks customized to various applications. Our welded tanks can be engineered to a variety of standards such as API 12D, API 650, AWWA D100 and NFPA 22. To enable our tanks to meet the requirements of a variety of liquids including drinking water, wastewater, brine water, produced water, crude oil and miscellaneous other petrochemicals, we can utilize various tank coatings. Welded tank coating formulas, tank preparation methods and application processes can differ considerably and can significantly impact the longevity and price of the tank. Our coating specialists can help guide your coating specification to ensure your tank receives the best coating for the application and your budget. Superior Tank Co., Inc. owns and operates a State of the Art tank production facility which allows us to manufacture a variety of tank parts and accessories such as nozzles, washout windows and hatches. In addition, we custom manufacture piping such as downcomer piping, clarifier components and aeration systems. In addition to tank fabrication, we can provide welded steel tank installation by our field teams. Our welded tank crews have specialized experience to ensure your new welded tank is constructed properly. We employ a specialized team that is dedicated to the oil industry. Team members possess decades of oil field experience and have received extensive training on Contractor Health Environment Safety Management (CHESM) processes. Thanks to this specific training and field experience, our oil field crew has earned an outstanding safety rating. When experience counts, contact Superior Tank!